In the Trump era, should Canada rethink its policy on accepting refugees from the U.S.? In January, U.S. President Donald Trump signed an executive order that restricted immigration from seven Muslim-majority countries for 90 days, stopped refugee admission for 120 days, and banned all Syrian refugees indefinitely. Days later, a federal judge blocked the ban. That didn’t stop Trump, who unveiled a revised ban in March that continued to prevent immigration from six of the seven countries; two more federal judges have since blocked parts of it. As the situation continues to unfold, many are calling on the Canadian government to suspend a U.S.-Canada pact called the Safe Third Country Agreement, which stops refugees who arrived in the U.S. first from claiming status in Canada, and vice versa. 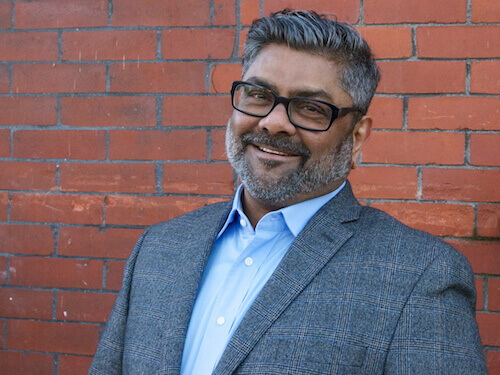 Zool Suleman, a Vancouver-based immigration, refugee, and citizenship lawyer and advocate against racial profiling and Islamophobia, explains. Was the Safe Third Country Agreement ever an issue before Trump’s executive order? There have been studies that show Canada’s immigration and refugee system is much more generous than America’s, that our system allows for much more due process and justice rights, and that our definitions of social groups and refugee conventions are broader. The effect of the agreement was that those who arrived in America first were disadvantaged in the type of refugee claims they could make. So, there was some disquiet before the latest presidential changes in the U.S., but there wasn’t any large galvanized movement. Do you think Canada should change the agreement? I think Canada should definitely consider suspending the agreement until it has verifiable guarantees from the U.S. that refugees will get full and fair hearings, access to legal counsel, it will not detail children, it will not separate families. It’s not to say to America that there should never be a Safe Third Country Agreement; it is to say that the current conditions of asylum processing in America are of concern to Canada, and therefore Canada wants to be sure that those individuals who make claims in America and are barred from making claims in Canada, are receiving a full, fair hearing with all of the procedural and legal safeguards that are necessary. Do you see that suspension happening in the near future? I am doubtful, because I think the current American administration can be vengeful, and Canada is aware of the economic consequences of seeking a suspension. What else could Canada be doing to improve the situation? Canada could take a more liberal view of the exemptions to the agreement. So for instance, if there are individuals who aren’t minors or don’t have family in Canada that perhaps fit into a more a needy exemption—they’re escaping from torture, or they’re escaping from certain kinds of abuse, or they’re escaping or seeking asylum from predominantly Muslim majority countries. Canada could set up additional categories of exemptions. But of course, it would need American co-operation. Have you been hearing from people in the U.S. looking to come here? Yes. I would suggest most established refugee and immigration law practitioners have been getting a significant increase in inquiries, but they fall into different groupings. There are people who are in America for a short time, who perhaps initiated a refugee claim, but after the change in administration, fear they will not get a fair hearing. There is a second group that has made refugee claims, has not been successful, and are not feeling like they will get a fair immigration processing. There’s also a group who are undocumented in the sense that they’ve lived there for a very long time and might have American family members, but are feeling like they cannot count on a fair system for immigration determination. These are nationals from Mexico, Central America, India, Asia. We’re seeing more and more of those people, who the Trump administration refers to as the illegal immigrants. That group would be blocked because they would have been in America for a long time. How big of a role do you think public opinion plays here? I think the government of the day can help form public opinion, but I don’t think it can overcome public opinion. I am becoming concerned by the number of polls that seem to suggest that Canadians are hitting a point where their generosity is feeling overextended. The government should be having a conversation with Canadians rather than projecting that it is some kind of leader in refugee and immigrant protection, but then not being able to follow through. What do you think is driving those concerns? We can’t discount issues of Islamophobia and race. There’s also a sense that to share means there’s less. And a lot of people are too scared about their day-today economic security to get into that dialogue. CORRECTION: The previous headline for this story incorrectly referred to the Safe Third Country Agreement as the Third Safe Country Agreement. This regrets the error.